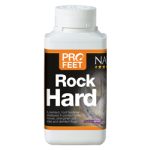 It not only includes optimum levels of all the micro-nutrients that have been scientifically proven to promote hoof quality but also a broad range of micro-nutrients that improve the efficiency of the hoof supplement whilst also supporting light work. 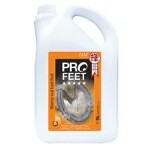 Horses and ponies with brittle or crumbly hooves need to stay on TopSpec Healthy Hoof permanently. 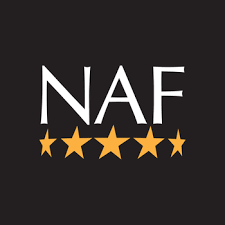 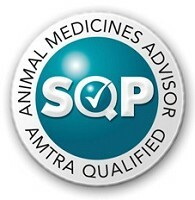 We do not recommend reducing the level of supplementation once good hoof quality has been achieved, as there is a significant risk that hoof quality will deteriorate without continuous nutritional support. 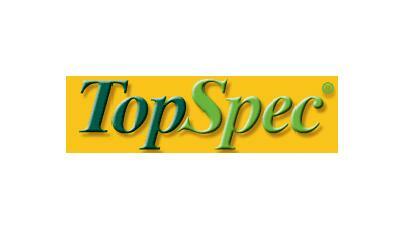 TopSpec nutritionists recommend that hard-working and show horses with hoof quality problems are fed TopSpec All-in-One (multi-supplement) or TopSpec Comprehensive Feed Balancer or TopSpec Joint Feed Balancer. 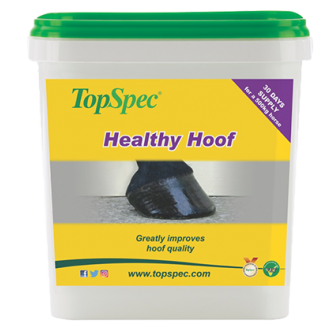 An effective hoof supplement is also included in TopSpec Lite Feed Balancer, TopSpec Senior Feed Balancer, TopSpec Senior Lite Feed Balancer, TopSpec AntiLam, TopSpec Stud Feed Balancer, TopSpec Racing Feed Balancer and TopSpec Donkey Forage Balancer. 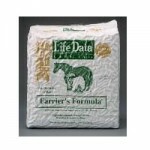 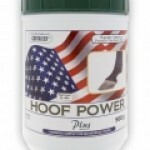 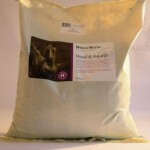 There is therefore no need to feed TopSpec Healthy Hoof if feeding any of these products. 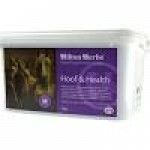 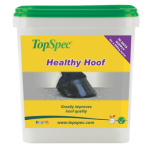 TopSpec Healthy Hoof is supplied in 3kg tubs which last a 500kg horse for one month and 9kg and 20kg tubs which save 25% or 40% respectively.